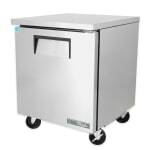 The True TUC-27F-HC undercounter freezer will not scratch or dent effortlessly because of its stainless steel exterior. Its clear-coated aluminum interior liner resists corrosion, and cleanup is efficient since the coved corners do not gather debris. Product can be stored on the stainless steel floor and two adjustable, PVC-coated shelves. Opening the cabinet door is convenient with its 12-inch handle, which is recessed to save aisle space. If the operator needs to clean under the unit, it can be moved on its 5-inch castors. 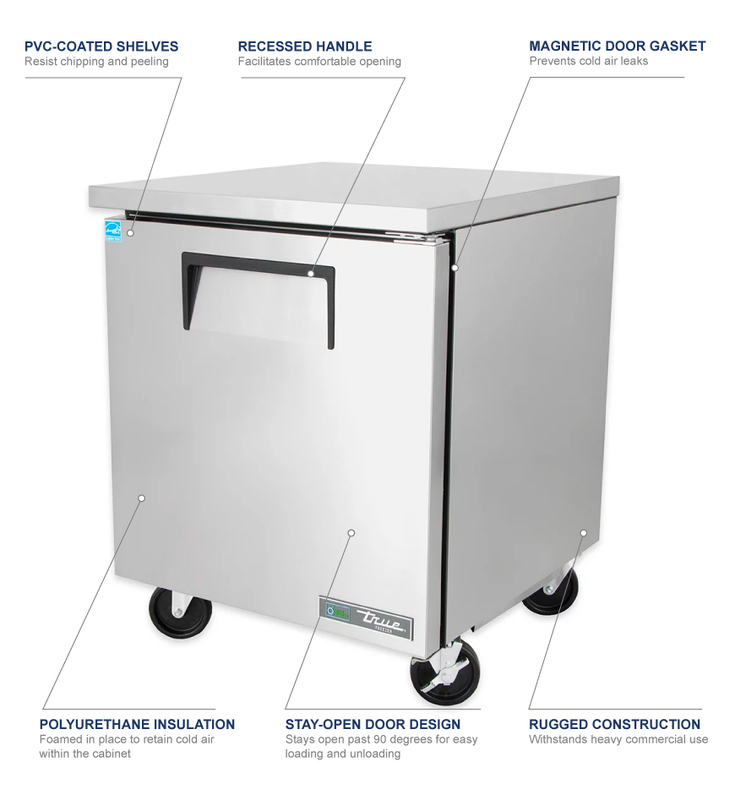 Lined with foamed-in-place polyurethane insulation, the cabinet traps cold air inside, and a capillary tube system uses R290 hydrocarbon refrigerant to keep the temperature at -10 degrees Fahrenheit. An even amount of air is distributed throughout the cabinet with the condenser and evaporator fan motors. 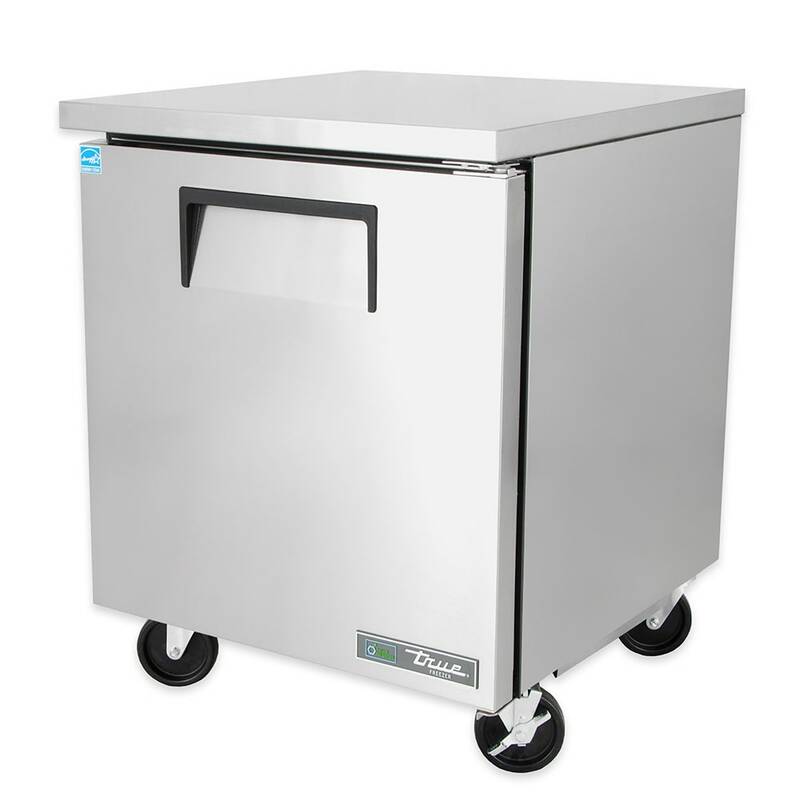 Because of its slide-out design, the condensing unit in the True TUC-27F-HC undercounter freezer is conveniently accessible from the back for maintenance. Check out this resource on undercounter freezers if you want to learn more about these units.